Come join us on a spiritual tour to guide you into a greater internal growth as we transform the depths of our higher self. 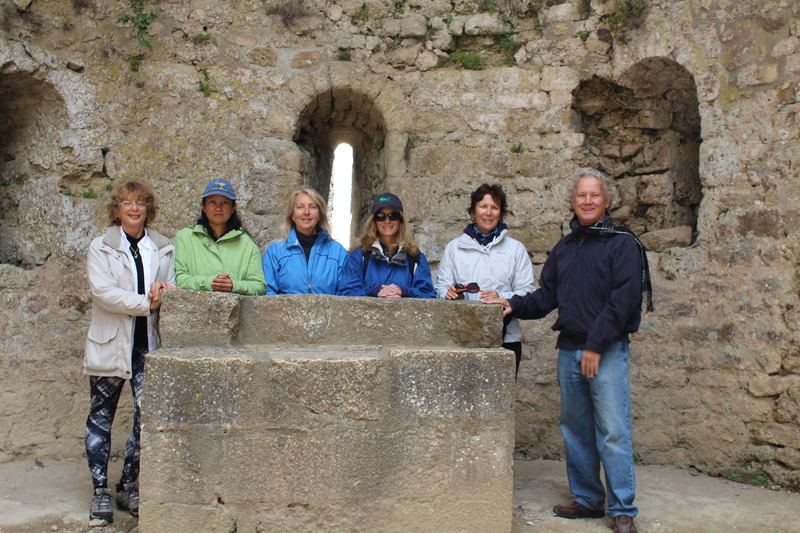 Let the sacred sites and natural power spots of Southern France open and change you. 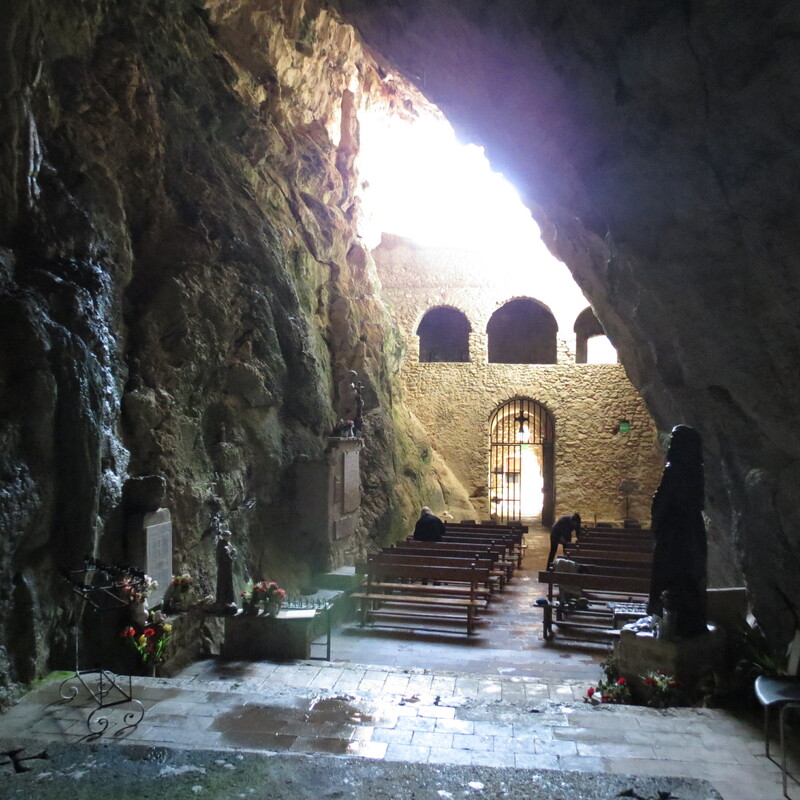 Enter the path of Mary Magdalene, as she likely journeyed to these lands of Southern France for some of the same reasons you would; to let the energies of these special places move you to a greater actualization. Discover the magic of what people have known for centuries, uncover the secrets the land has to offer. We will visit churches, natural spots and ancient sites to facilitate amazing transformations. This tour takes a slower pace to allow people time to meditate, contemplate and explore the spirituality these amazing places have to offer us. The 2019 tour is designed for five to six people. Therefore we will be able to transition more quickly, spend more time at the sites, see more of them and have more of an intimate connection with the power spots. We generally visit over twenty sites on the tour. We depart at nine in the morning and return home any where from five thirty to seven in the evening. Tour guide, Bart Sharp has lived in the Languedoc Region for the past five years, in this time he has communed with the energies of the lands in the common and obscure places to discover multiple secrets of the power spots. Using shamanistic tools and his intuitive abilities Bart perceives deeply in the land, buildings and into individuals to facilitate deep spiritual awakenings. If you are wishing to connect with the places Mary Magdalene lived, witness highly energetic locations, grow in soul and consume delicious french foods and wines? This tour is for you. Depart on the morning of Monday, June 17th, 2019 to begin the tour that day. I will drive group to the hotel on the afternoon of the 16th to spend the night at the Fast Hotel, Fly out on the 17th. *Hotel costs are not a part of the tour fee. Enjoy eight and one half days of touring, with one half day in the middle of the tour to rest or be dropped off in the small French town of Rennes Les Bains to tour the town on your own. We will be staying in the town of Quillian, France in a large three story home. *Eight days and one half days of touring in Southern France. We will be traveling in a van with a maximum of six people on the tour. *A ride to and from the airport. *One or two picnic lunches. *Dinners cooked by a French cook. *Park Fees to Chateau Payrepertuse and Monsegur, six euros each. $2800.00 USD for the tour, with a $300.00 discount if registered with a deposit of $700.00 by January 31st, 2019. Please call Bart to register at 512 809 6807 or contact by email at heartofturtle@earthlink.net to arrange a conversation. I request a conversation with each individual attending the tour to make sure this is the right tour for them. Pay by PayPal address of heartofturtle@earthlink.net or by personal check, to Bart Sharp. Room Discount – Please note if you decide to share a room, there will be a $200 discount per person sharing the room, there will be al least two that will need to share a room. French country living is casual dress, even to dinner. Expect a variety of temperatures and conditions in spring, summer and fall. Count on some cloudy, rainy days. This will require us to schedule some excursions around the weather as lower elevations closer to the coast are sunnier or we go to churches on rainy days. Luggage We will be traveling to and from Toulouse with the full group in the van, I request no one have a gigantic sized suitcase. There will be a washing machine in the home. Prepping We will be doing lots of walking and some of the time up steep inclines. It is best to shape up if you are not used to walking steep inclines. Many trails are rugged footpaths used for centuries unlike the cut trails Americans are accustomed to in public parks. I will have walking sticks if desired. If you wish to arrive earlier or later, rooms can be rented and I can assist in those arrangements. Let me know. Tour includes, breakfast, dinner, private room, group energetic transformation sessions and daily tours of Southern France Region. Please call Bart to register at 512 809 6807 or contact by email at heartofturtle@earthlink.net to arrange a conversation. Pay by PayPal address of heartofturtle@earthlink.net or by check, to Bart Sharp. French country living is casual dress, even to dinner. Expect a variety of temperatures and conditions in spring, summer and fall. Count on some cloudy, rainy days. This will require us to schedule some excursions around the weather as lower elevations closer to the coast are sunnier. We will be doing lots of walking and some of the time up steep inclines. It is best to shape up if you are not used to walking steep inclines. Many trails are rugged footpaths used for centuries unlike the cut trails Americans are accustomed to in public parks. I will have walking sticks if desired. I recommend getting Euros when in Europe, instead of going to a cash exchange bank in the United States, most American bank cards work at ATM machines in Europe. Cash advances on a credit card can be cheaper than the money exchange banks found in airports if you pay off your credit card once returning home. There is a ATM at most Post Offices in small towns so Euros are fairly easily to obtain. Thanks MrChef, I will have more spectacular tours in 2018 in Lovely France. My friend and I are interested in going on this 2018 tour with you, is there still room in June. Hi, my name is Diane -I live in Ottawa Ontario Canada – I would really like to take this guided tour but I am not ready to go until the Fall of 2018. Will you be doing anything for Sept-Oct of 2018? Please send info on 2019 tours.